Using a PC-based POS Solution you don’t have to worry about typing the incorrect price. All you have to do is scan the Bar/OR code of the item and the exact price will be entered. A basic register does not help in managing inventory. The sale records the amount spent, but not the product sold. You need to conduct regular inventory checks. Upgrading to a POS solution results in automatic inventory updates. Most enterprises have multiple outlets. To expand, you have to have a POS Solution. The best POS Solution helps you operate all your outlets from a central office. With a secure POS Solution, you can run your enterprise anywhere. A robust cloud-POS solution will help you manage it in Dubai, UAE, India, and/or Kenya. The best retail POS software fully integrates with your accounts program, which means no manual entry. You can get things done sooner and that too without errors. Do you know your consumers? Which consumers buy online? Which products are popular? Your POS Solution should help you out in this. So, there you have it. These are the 7 ways how a POS System is going to grow your retail empire. 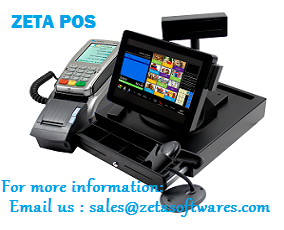 You can contact our experts at Zeta Software to walk you through how our POS Solutions can help you grow in 2019.